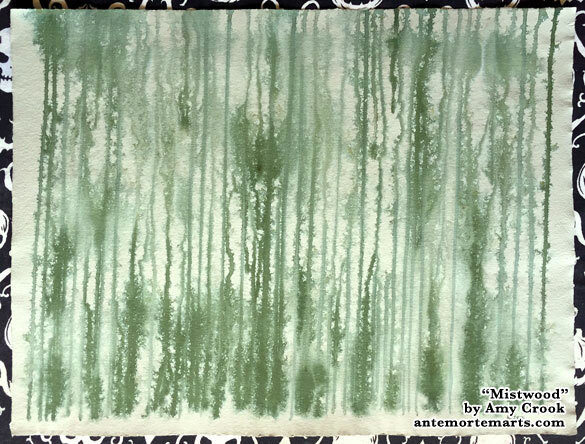 This beautiful sheet of Twinrocker Handmade Simon’s Green paper is about 22 years old — I acquired it many years ago when I had a model named Simon, and never found the right use for it. I pulled it out specifically thinking it make an intriguing addition to my Pathways series, and I’m quite pleased with the result. Strong green spikes rise upward, spreading out into leaves and branches, spreading further into mist and obscurity. Hints of earthy ochre lurk in the depths where surprising blues emerge through the fog. The tops of the trees disappear off the natural deckle edge of the paper, and the whole forest is bowed ever so slightly in some unseen wind. 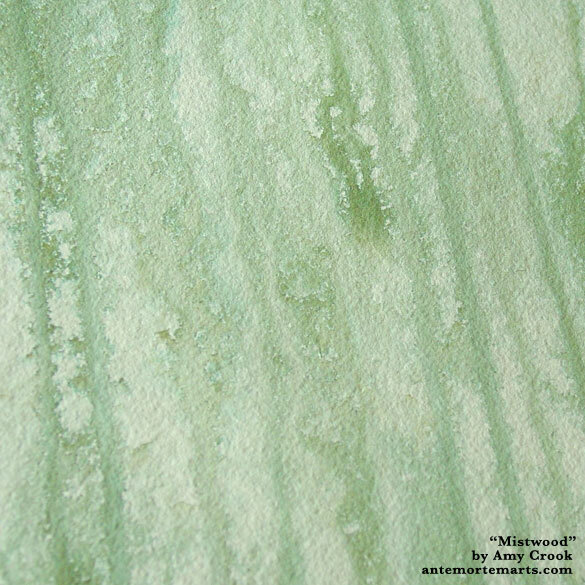 Mistwood, 24″x18″ watercolor on Twinrocker handmade paper. 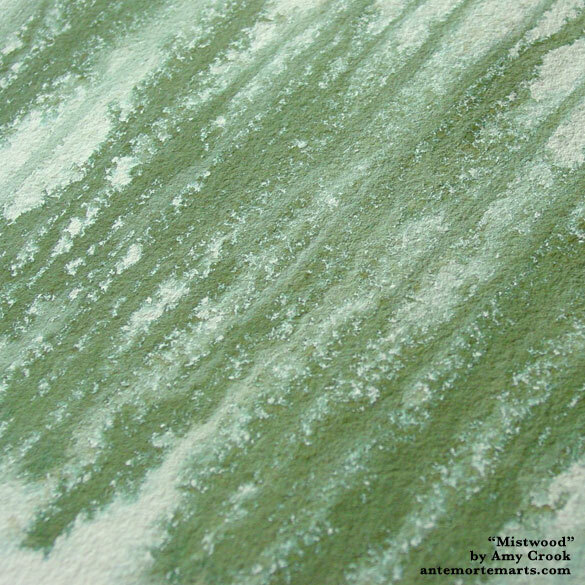 Above, you can see one of the areas of “mist” where the greens break up and fade out in soft layers of color. Below, you can see the dark “trees” with their rich, strong forest colors still intact.